Printed in the P.R. 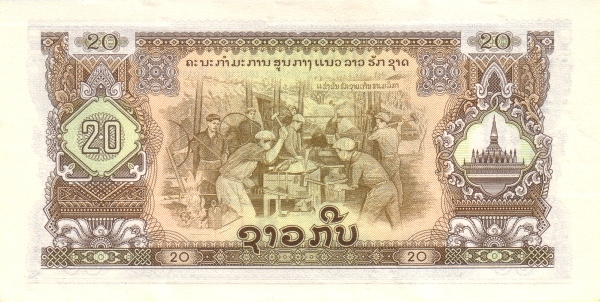 of China and circulated in the Pathet Lao controlled areas. 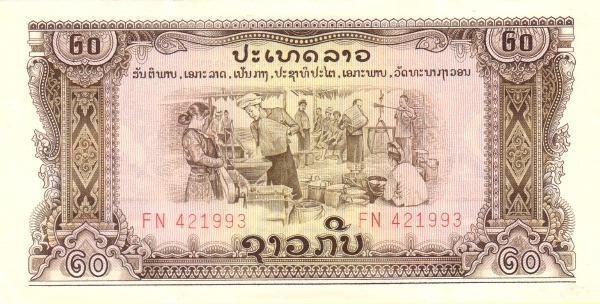 In 1975 these notes became the accepted legal tender in the whole country.